Dis-assembly of mobile phones constitute an increasingly significant facet of the e-waste industry here in Agbogbloshie. Metals from these phones form part of the urban mined resource of the city, albeit not as ubiquitous as other equipment such as refrigerators, and microwaves. 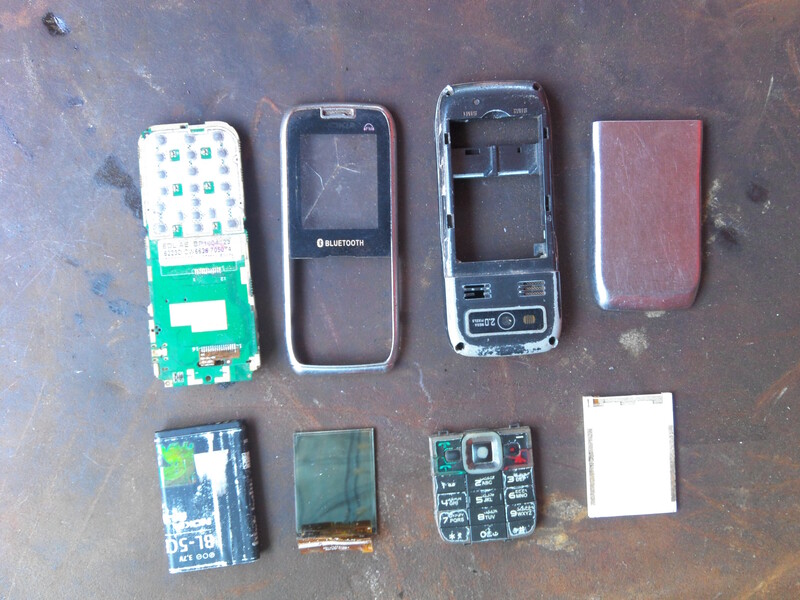 As part of the process of making the AMP’s E-manuals, the team with its Agbogbloshie field agents and members of the AMP makers collective (Sam and Iddrisu), disassembled a mobile phone at Agbogbloshie. We made use of the most available tools, (mainly screw drivers owned by the e-waste workers themselves), and carefully took apart the phone, in a manner that preserved each component. 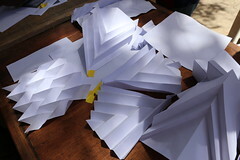 We then identified and documented via photographs, each of these. Such hands-on dis-assembly activities enables the team (with diverse backgrounds), to understand better, the nature of the electronics that are in Agbogbloshie. As it is with other equipment in Agbogbloshie, mobile phones that arrive here are usually in a wide range of conditions. Those in fairly good condition are resold altogether or have their working parts sold to phone repairers(who troop in, in search of such working parts). Those that are in totally bad shape are scraped for constituent metals. It is common to find that, phones arriving here for dis-assembly already have missing parts and/or components such as batteries. According to the e-waste workers, these are sometimes removed by collectors before they reach Agbogbloshie. 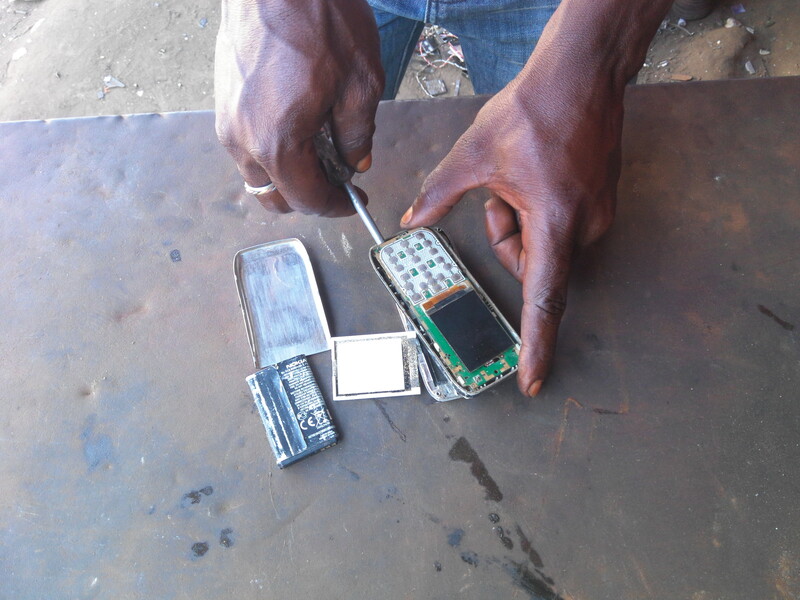 Some of the most valuable parts of the mobile phones inside Agbogbloshie are the screen and circuit boards. Once these and other parts are removed, they follow the same process as other e-waste and are either sold locally to phone repairers for re-use or to middle-men.